Nightvault landing on my doorstep sprang the initial question of “Where am I going to keep all these cards?!”. I remember the very same thought trawling through my mind when Shadespire appeared within my clutches. 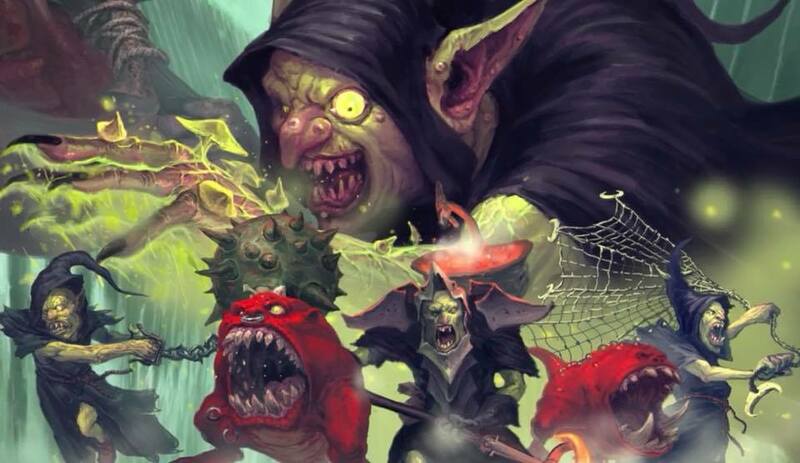 When the first season of Warhammer Underworlds landed, it relentlessly became my most-played game for months to come and brought with it untold enjoyment. 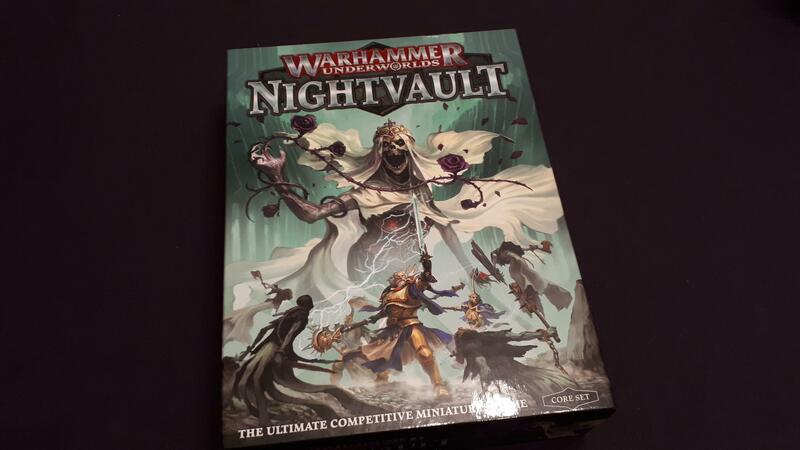 Nightvault follows it including new warbands, new cards and the inclusion of magic to the game. 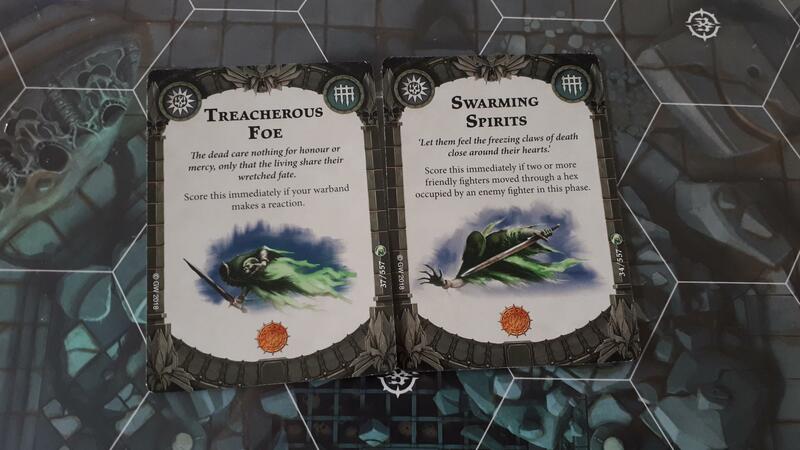 Do these tarnish the refined formula that Shadespire ushered in? Or does it bring with it a new era of card-focused skirmish that my table will quickly be overwhelmed by? The answer to these questions are not as clear-cut as you’d might hope. There’s a number of factors to consider here. Whilst it’d take a sizeable chunk of time to go into detail for each of them I’ll summarise as best I can. The first key thing to acknowledge is that it’s impossible to fully bring judgement to Nightvault until all cards are released, I’d say. Certainly, I’ll let you know what I can regarding the contents of the core box. 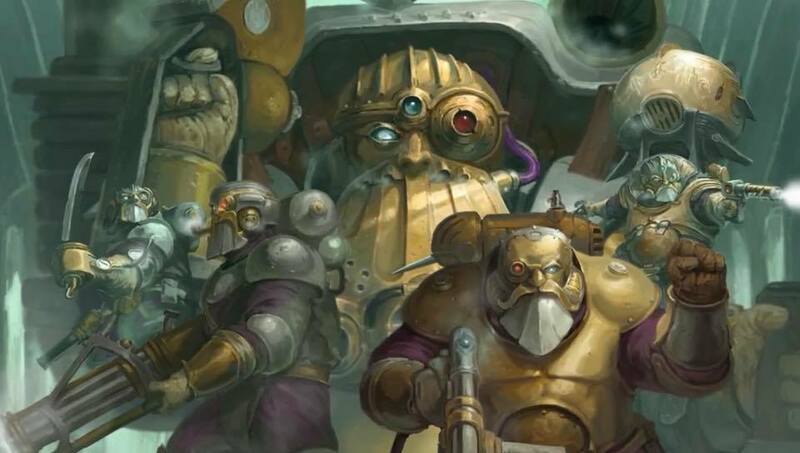 However, as we saw with the Katophrane Relics in Shadespire, the following releases could very well turn the game up on its head. Let’s get stuck in with the cards that we actually have at hand. The core set offers a recognisable format of cards from the first season’s contents. There’s a good balance of objective-grabbing cards as well as a twist on some older favourites. Some already feel like must-takes, such as the objective of simply using a reaction card to attain some glory. Factor in that these new cards are all compatible with the Shadespire collection and you’ve got some tough, tough choices to make. 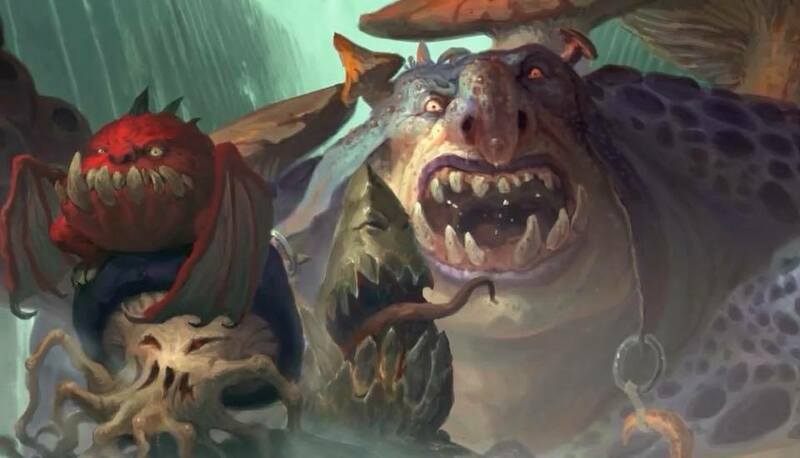 Deck-building is going to become even more harrowing as you desperately attempt to squeeze in every valuable card. The core box inclusions all seem as balanced yet tactical as the originals from Shadespire. However, until we see all cards through the expansion boxes it’s hard to offer a full analysis. We’ll delve into that further along the Nightvault releases. The models included are once again unquestionable in their quality. 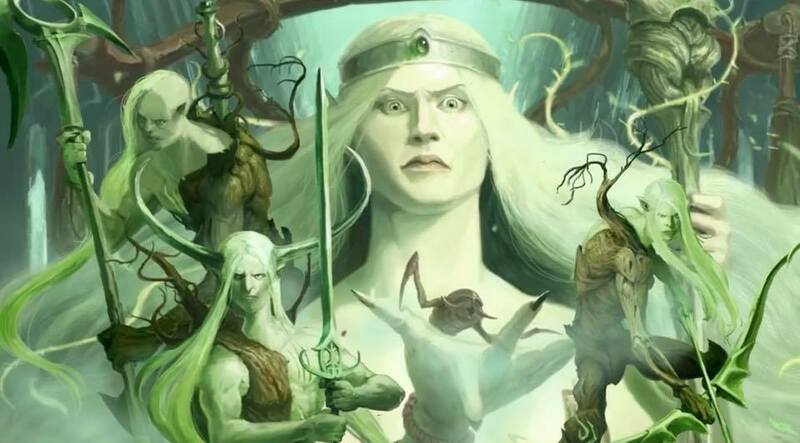 My biggest gripe is with the Briar Queen and her damnable vines protruding from her arm. I wholly suspect they’ll snap off in my carry case before the month is out. Regardless, the sculpts are wonderful with excellently detailed bases. The bases for the Underworlds warbands continue to be one of my personal favourite touches of the models. Nightvault also manages to give you six Chainrasp models, each being different enough as to appear unique. This is all without compromising their level of spooky alongside their Briar Queen. The introduction of spell-casting within Warhammer Underworlds is the core addition for Nightvault. 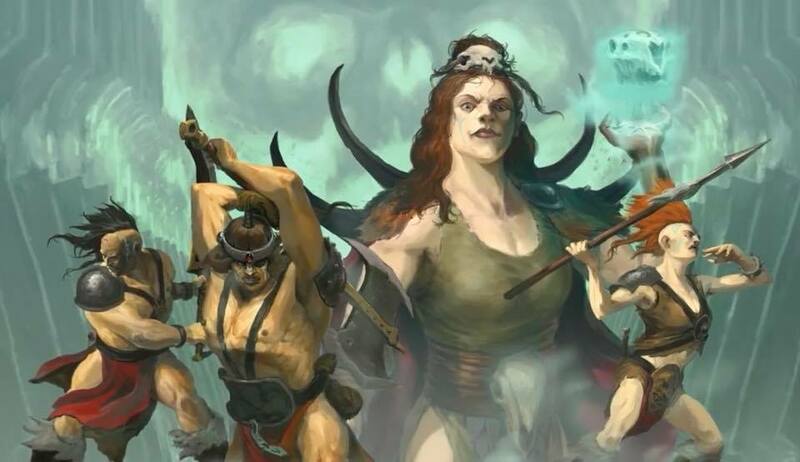 Both introductory warbands have spell-casters with cards that allow them to unlock their magical potential. The ushering in of magic isn’t exactly an unwelcome feature and it certainly does provide another layer of strategy. I do strangely find myself querying if it was at all needed, though. I admired Shadespire for its brutal simplicity whilst offering an astonishing level of tactical gameplay and forward-thinking. Magic doesn’t exactly turn the game on its head. However, I do ponder if the game may start to bloat and swell and lose its accessible appeal should too much get crammed in. Regardless of my feelings of magic within the game, it fits well and opens up new avenues of gameplay mechanics and systems for players. 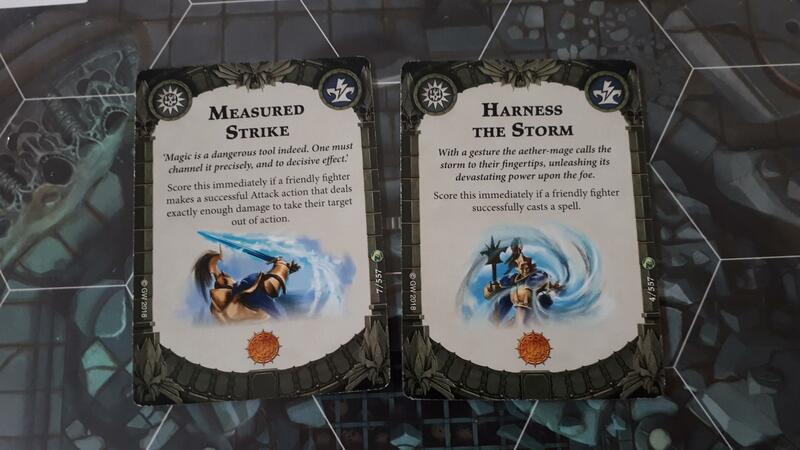 For instance, some of the more bombastic spells allow casters to trigger “chain-lightning” spells that effective scatter powerful bolts of energy. These risky elements included in a game already entrenched in luck-dependent gameplay could either see high-stake plays become more prevalent, or simply never be used. The game favours those who seek to ensure their victory through surety and re-rolls wherever possible. The inclusion of randomly scattering spells feels like a good attempt and mixing up the formula, but for those who truly care about victory it’ll likely never see the light outside of the deck box. However, magic does feel as though it’ll help a number of warbands via the gift of ranged damage at the very least. This is something that Shadespire didn’t have a great deal of, so I’m eager to see how much this changes the game. 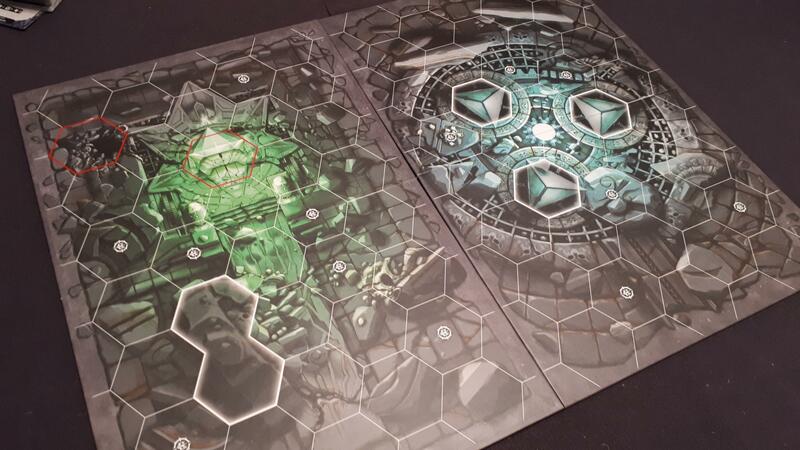 Nightvault doesn’t seem to rewrite Warhammer Underworlds’ gameplay systems. Nor does it feel like a lazy attempt at re-skinning the Shadespire box. The real meat of this game won’t show its grade until the other warbands and cards are released. What I can say about the starter box is that it’s a welcomed addition to the Underworlds arsenal. Whilst not all of the new parts of the game may feel essential or feel valued at this time, I’m excited to delve further into Underworlds. I’m already plotting ways for my Nighthaunt warband to bring death and despair to those around them; be they new combatants within Nagash’s realm or old ones from the walls of Shadespire itself. 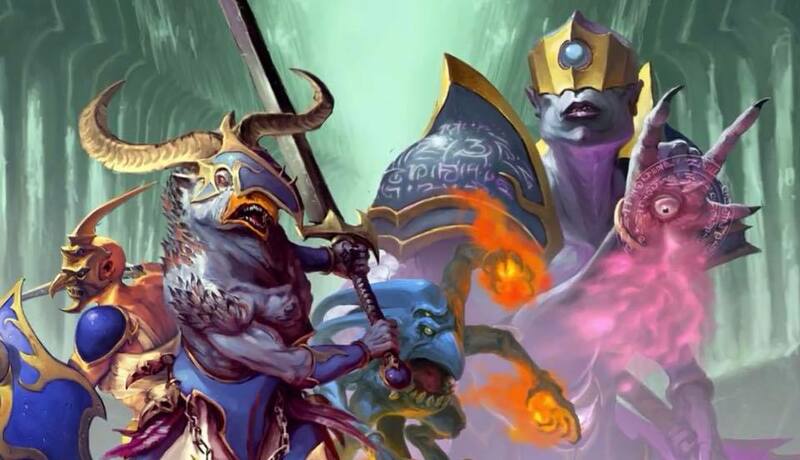 For regular news and updates on gaming and tabletop, you can follow us on Facebook. Be sure not to miss out!